Many chemical, corrosive, particularly toxic and sometimes carcinogenic products are used for surface treatment. Exposure to harmful solvents or acid vapors outflows from tanks implies significant risks for human health. Any worker in this field of activity needs to be properly equipped to detect gas and to be protected from it (using a gas mask and/or an air powered respirator well suited for surface treatment). Gas related risks are present all along the process of metal surface treatment: while degreasing, pickling, during the coating process, and during the silver, copper, gold or nickel plating as well. Many used chemicals and acid products can have important consequences on human health. Find out any information about these gases and acids in our INFORMATION ON GAS section. On these pages are gathered gases main physical and chemical properties, their effects on health and equipment for protection and detection. Surface treatment gas detection units need to be installed close to treatment tanks to measure and control potential presence of toxic and corrosive gases. Health and safety committees oftentimes also ask for air quality traceability of work environments. The installation of these devices can thus provide a proper alert system and at the same time guarantee compliance. In case of an emergency – presence of toxic gas in the working atmosphere – or for short term works in polluted areas; it is necessary to wear a respiratory protective equipment. 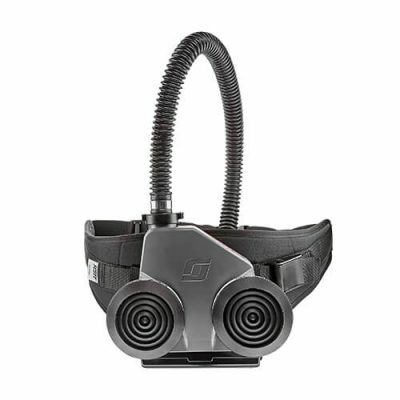 Workers usually use a full face mask (as most of acids are irritant to eyes), a powered air respirator or even a self-contained breathing apparatus (SCBA) in case of severe toxic gas concentrations. Many chemical, corrosive, particularly toxic and sometimes carcinogenic products are used for surface treatment. 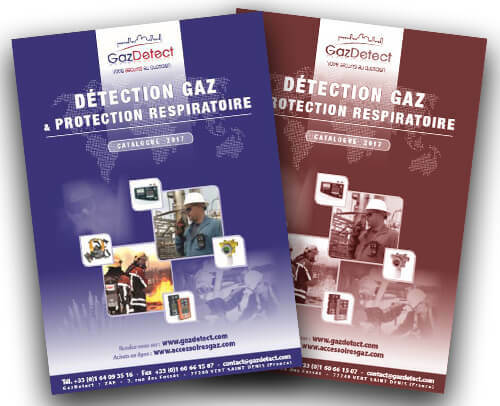 Find here our recommended gas detection and respiratory protection devices. 4-20 mA gas detector / transmitter with integrated sampling pump, pre-calibrated cartridge, alarm relays and TCP/IP communication. Operating with a reliable gas detection technology, the Midas fixed gas detector has been especially designed to monitor the presence of flammable and toxic gases in ambient air. This way, this detector can monitor following gases: arsine (AsH3), diborane (B2H6), boron trichloride (BCl3), boron trifluoride (BF3), bromine (Br2), ethylene oxide (C2H4O), chlorine (Cl2), chlorine trifluoride (ClF3), chlorine dioxide (ClO2), carbon monoxide (CO), chlorine dioxide (COCl2), fluorine (F2), germane (GeH4), hydrogen (H2), hydrogen sulfide (H2S), hydrogen selenide (H2Se), hydrogen bromide (HBr), hydrogen chloride (HCl), hydrogen cyanide (HCN), hydrogen fluoride (HF), hexamethyldisilazan (HMDS), hydrazine (N2H4), ammonia (NH3), nitric oxyde (NO), nitrogen dioxide (NO2), oxygen (O2), ozone (O3), phosphine (PH3), phosphoryl chloride (POCl3), disilane (Si2H6), silicon tetrachloride (SiCl4), trichlorosilane (SiHCl3), sulfur dioxide (SO2), tetra ethyl ortho silicate (TEOS), trimethylborane (TMB), TMP, tungsten hexafluoride (WF6). Moreover, with its optional pyrolyzer module, Midas is able to detect following gases: hexafluorobutadiene (C4F6), octofluorocyclopentene (C5H8), methyl fluoride (CH3F), DCE 1.2, nitrogen trifluoride (NF3), sulfur hexafluoride (SF6). Compact and featuring a zinc-plated steel base, the Midas is easy to install. Small, compact and lightweight, this detector suits perfectly in applications like light industries, laboratories, semiconductor transformation or even the wastewater treatment. Its pump system has a 2 year lifetime and can draw samples up to 30 meters. 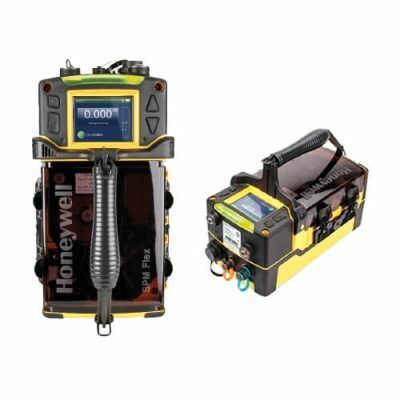 Its alphanumeric backlit LCD with intuitive icon menu can display the concentrations and its datalogger enables operators to download vents and sensor history. Its smart sensor with on board calibration certificate are ready for use and can be easily and quickly replaced. 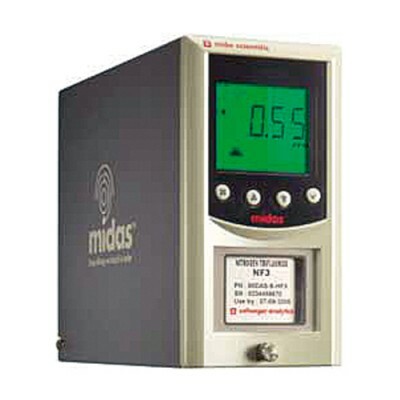 Midas fixed gas detector features several outputs: visual, 3 built in relays for alarm 1, 2 and fault, analog and digital communication and is powered through Ethernet connection (PoE). It can be wired with 4-20 mA 2 to 4 wires or digitally with CAT5 cabling or equivalent with RJ45 connector. Lastly, Midas is CE marked for a total immunity to electromagnetic interferences. The SPM Flex is an optical calibration-free gas optical analysis system. 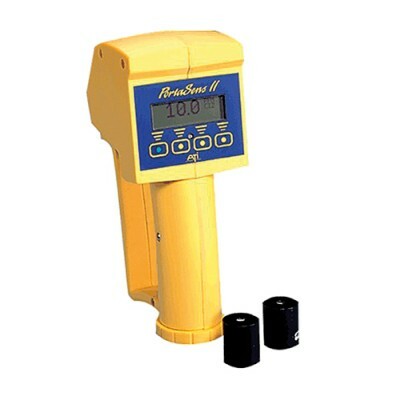 This single point tape-based toxic gas detector can accurately (ppb measurement) and swiftly monitor the presence of a hazardous gas. Chemcassette® technology – immune to interferences, more than 50 available gases. User-friendly interface and gas concentration digital display.